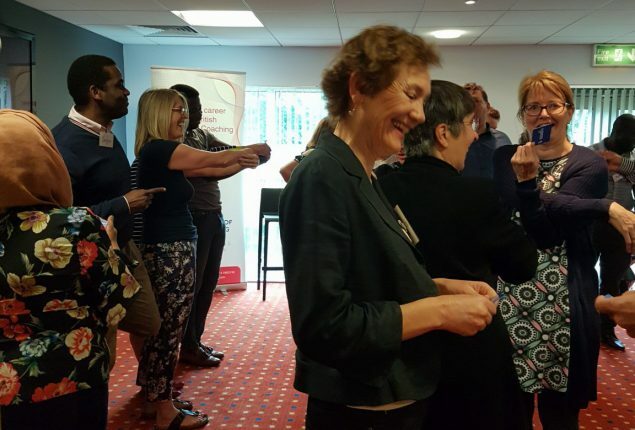 This was the third of BSC’s four annual networks held in the North West (UK), and as always was a beautifully organised, inspiring event which left me feeling really energised and enthusiastic. As well as excellent presentations from Ana Nacif (Positive Psychology and Coaching) and John Macdonald (Leadership and Coaching in the Middle East), there was the characteristically creative ice breaker activity led by Martin Hill which set the tone for the entire morning. Martin Hill presented the concept of the “Experience Cube” (taken from “Clear Leadership” by Gervase Bushe) which provided insight into a potentially powerful tool for reflection, not only for our coachees but also for ourselves as coaches. Ana Nacif’s presentation on Positive Psychology was a fascinating and comprehensive introduction into a topic that is becoming increasingly valued as a concept which has a multitude of possible applications. Described as “the scientific study of what makes life most worth living” and promoted by Martin E. P. Seligman, an American psychologist, educator and author, positive psychology askes the question, “What is right with you?” as a direct counterpart to the focus on trying to “fix” what might be “wrong” with you. We explored a number of different tools used in the practice of Positive Psychology including “The VIA Classification of 24 Character Strengths” which stimulated much discussion and provided us all with challenge and insight. Ana’s presentation was followed by an equally interesting, but quite different presentation by John Macdonald on the state of coaching in the Middle East. This linked in with Martyn Ellis’s introduction to ISQC, (International Society of Qualified Coaches), our associated coaching membership group. As chairperson of the UK branch of the organisation, Martyn described the activities and progress of the UK. 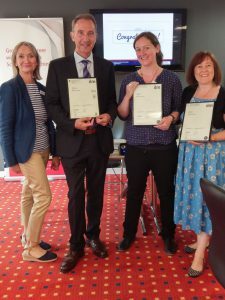 Certificates were then presented to successful learners on the Wellbeing Coaching Programme and the Level 7 Certificate Executive Coaching and Mentoring programme. After which Judith Barton, our Director of Coaching and Mentoring thanked everyone for coming and reminded attendees of upcoming events as detailed below. The morning concluded with lunch, during which it was clear to hear the “buzz” that had been created during the previous hours. Martin Hill hosted a group supervision programme from 2pm which has become an integral part of BSC network events.